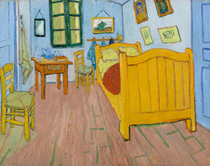 This exhibition focuses on Vincent van Gogh's (1853-1890) relationship with Japan. 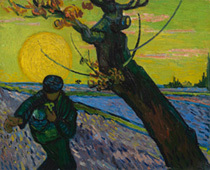 By examining the allure of this painter whose tremendous popularity continues to endure, we attempt to understand the intersection between van Gogh's vision of Japan as a kind of Utopia, based on literature related to the country and ukiyo-e prints, and Japanese artists and intellectuals' dreams of van Gogh, based on their pilgrimages to Auvers-sur-Oise, the French town where he died. In conjunction with the exhibition, we will also present a display of van Gogh-related works (limited to the Kyoto venue) by Osaka-based contemporary artist Morimura Yasumasa in the Collection Gallery. * Early Bird tickets (2,000 yen for a pair of tickets) available between Oct. 1 to 31, 2017.